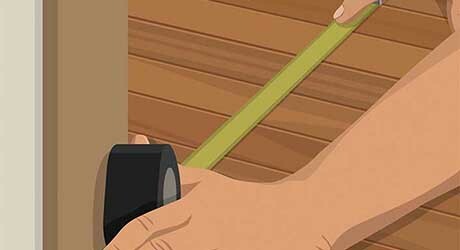 Thresholds play an important role in the entry to your home. There primary function is to keep warm air in and cold air out, and vice versa in the summer. They are also an important tool to help keep bugs at bay. Because they withstand a lot of traffic, make sure your threshold is of good quality to increase durability. 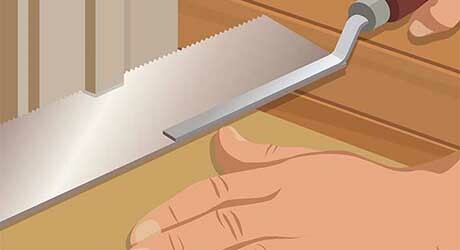 This guide details how to remove an old interior and exterior door threshold and replace it with a new model. Begin by removing your existing threshold from your door. 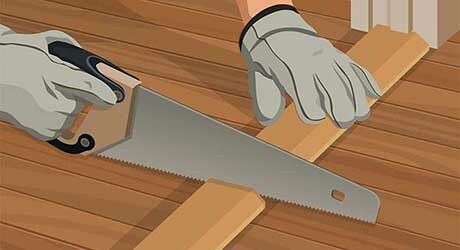 You'll want to first cut the old threshold with a back saw. Then you can dislodge it with a pry bar. Once it is removed, clean the area thoroughly. 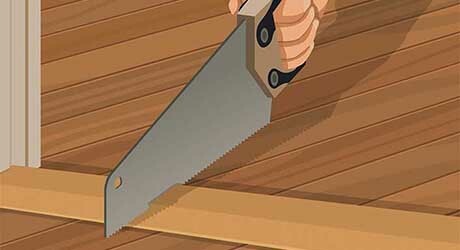 Carefully measure the opening for the new threshold, and cut to fit. 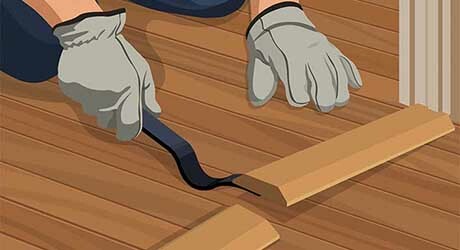 Next, lay a bead of caulk along what will be the back edge of the threshold. Now position it as you want it, making certain the angle is sloping slightly away from your home so water does not build up near your new threshold. 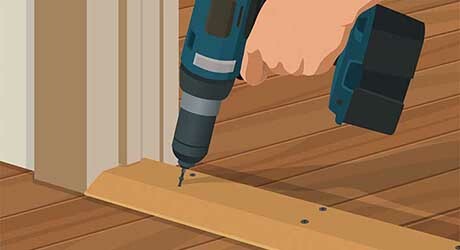 Insert the screws in the holes indicated along the length of the threshold. Finally, test the fit. If it is too tight, you can plane down the door or lower the threshold. 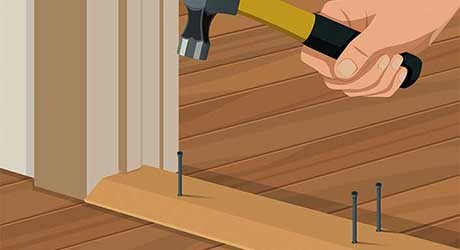 If the door stops are undercut but the jambs are not use a hammer and prybar to remove the nails from the threshold, and hammer it out from under the stops. If the doorjambs were undercut to accommodate the threshold, saw it into two pieces, and remove each piece separately. Before installing a new wood threshold, undercut the doorstops, if necessary, then measure carefully and cut the threshold to length. Predrill pilot holes, and nail the threshold to the floor with flooring. Or counterbore the threshold, and fasten it with countersunk wood screws.